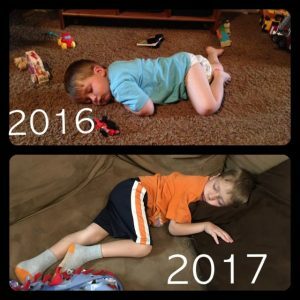 May 2017 Update - Adventures with the Tuleys! Last night, Josiah graduated from preschool. He is super excited to be a kindergartener! Graduation went wonderful, even with all the applause! I did have him wear his headphones, and they worked great. He was as happy as could be going up on stage to get his certificate, and then singing three songs with his classmates and the others graduating as well. I am super proud of this boy and all he has accomplished in his 5 short years, and look forward to all that he will continue to accomplish. He makes me smile, and I pray he never loses his joy for life. We had Josiah’s IEP meeting on Monday, and that went really well. 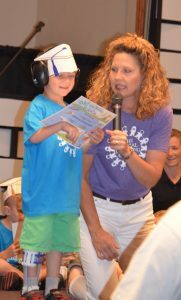 He will be in a kindergarten special education class, which sounds like a perfect fit for him as he adjusts to the daily school routine. He’ll get his therapy first thing in the morning, then be in the classroom for a half day. He still naps regularly, especially on days he has school or therapy. Now that he’s combining both of those on the same day, and be in the school setting an hour longer, I’m anticipating him to be more tired than usual. It’s our goal, that by the end of the year, he is able to attend a full day. But we’ll take it one day at a time and see how our little guy does! 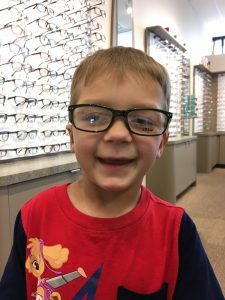 Josiah now has glasses! He isn’t wearing them often, as we are working to get him to tolerate leaving them on for more than a few seconds at a time! He thinks they’re super cool because they’re green (on the inside), but isn’t a fan of keeping them on. We noticed at therapy today that they helped with his head shaking (to focus) and he didn’t have to be as close to the iPad while doing his activity. 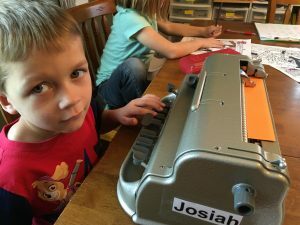 Josiah has a braillewriter so he can begin to “scribble” by making braille letters on his own paper. He loves being able to load/unload the paper and push the buttons. He’s starting to work on identifying the different parts of the braille cell, which is the first step to learning the letters. Josiah is very excited to learn! This braillewriter is an older model. Most braillewriters require the use of both hands. This one is unique, in that it is a uni-brailler, meaning he can braille with one hand. It’s somewhat similar to a typewriter. Last week Josiah had a visit with the endocrinologist, who monitors his hormones. 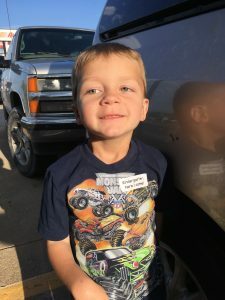 He is pleased with Josiah’s growth and we are going keep him on the same amount of growth hormone, and none of his other medications have changed. He also had a bone age scan, which is an X-ray of his hand. It’s amazing how much he has grown in a year! We are done with school and gearing up for a full and fun summer! We’re continuing to see progress on our house and hope to be able to move sometime in June. We’re gearing up for a few days in Branson with my parents, then we’ll be off to Dallas for 2 weeks for Nathan’s job. 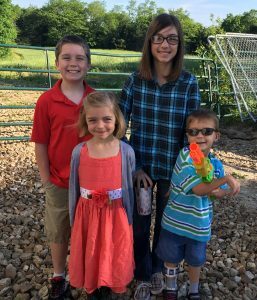 We haven’t been to Dallas as a family since the summer of 2012, when we first intended to join Pioneer Bible Translators (PBT). The two older kids remember going. The little two were 7 months and almost 2 years old, and don’t remember going at all. Nathan has travelled down many times, and I’ve gone with him once a few years ago. We will be excited to all be together and re-introduce the kids to our mission with PBT. The first week Nathan will be working quite a bit, as he will be working with the intern he will have this summer. I’m hoping to do some fun things with the kids during this time. The second week we’ll be attending a conference put on by PBT, which will have programs for the kids and I as well. We’re looking forward to a great summer! 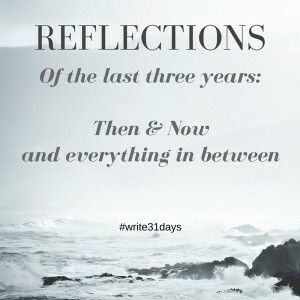 What a fantastic year! Awesome memories. So proud of you and your family and how you handle all facets of life. You and Nathan are GREAT parents and wonderful examples. Love you all to the moon and back. Mom and Dad. So good to hear all of the progress being made.